We're excited to launch a few features today that make it much easier to manage your subscriptions from the Dashboard. One of the most common pieces of feedback we've heard from our users is that it was challenging to support business models where customers are commonly subscribed to multiple plans (such as those with "add on" features). 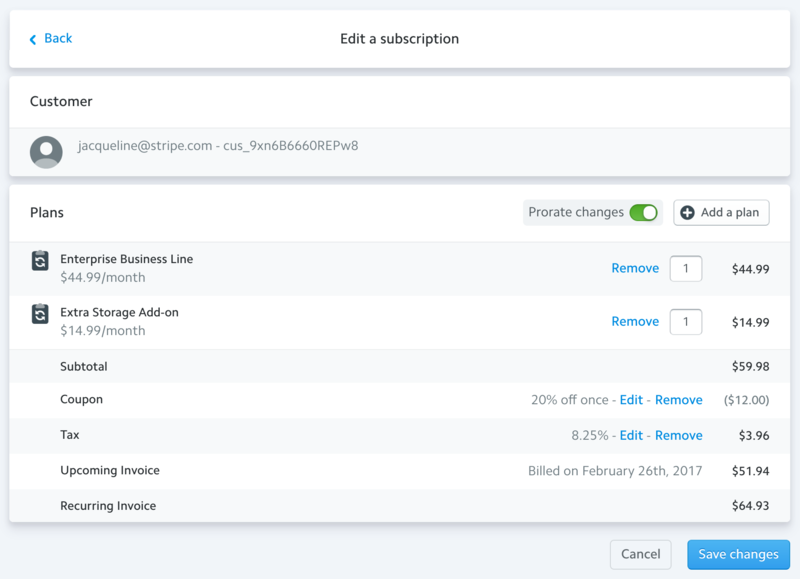 You can now create subscriptions that are composed of multiple plans, which lets you use Stripe to better represent the business model of many subscriptions businesses. One of our beta users, Discourse, provides hosted online forums for companies like Twitter, Github, and Docker. They offer a $100 per month standard plan, a $200 per month business plan, and custom enterprise plans. In addition to these plans, their customers also commonly choose add-on features like SSL. 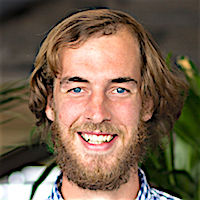 Previously, Discourse engineers relied on webhooks to add invoice items to accurately charge for add-ons, which required lots of monitoring. We've now streamlined this process considerably with our multiple plans feature, which you can use in the Dashboard, or via the API. With multiple plans, you can now easily offer add-ons to your basic plans in the same subscription without additional engineering or administrative work. 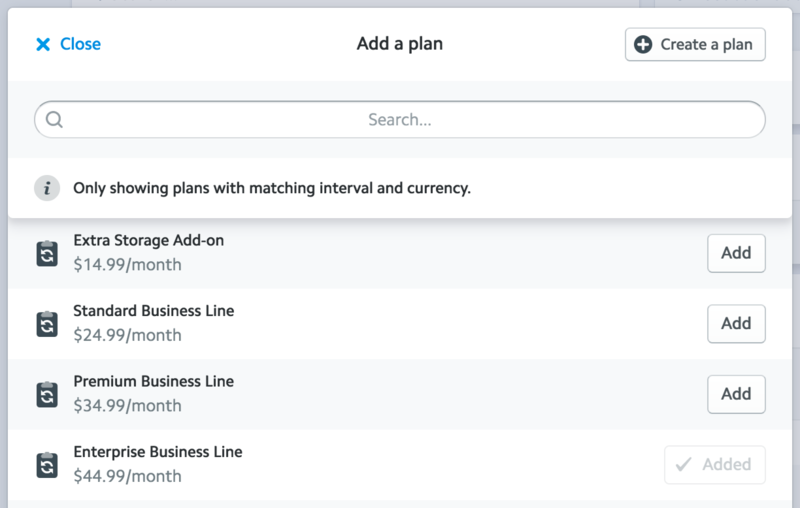 You can now create a single subscription for a customer that's composed of multiple plans. While we've had the ability to preview changes in the API for some time, it's often easier and clearer to see these changes directly in the Dashboard. We've added a new view that lets you preview the impact of changes you’re about to make to a subscription. For example, if you add tax, a coupon, or proration when creating or editing a subscription, you can now see the impact of each change before applying it to the customer. You can try out these new features in your Dashboard. You can now preview changes to a Subscription via the Dashboard. We hope you'll find these updates useful! We'll be launching more features that make it even easier for businesses to manage recurring billing soon. In the meantime, please reach out if you have any questions or feedback.